Consistent scores in the 70's and has even achieved scores in the 80's for official dressage. She has a truly fantastic temperament being very quiet yet willing and highly trainable. She is beautifully conformed with lovely paces. 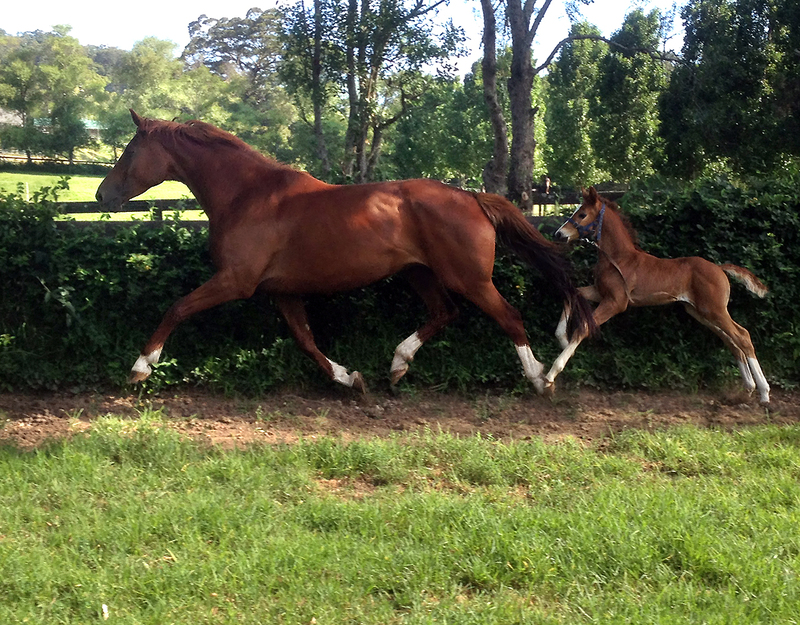 We are expecting our first foal from Fleur in 2015, the sire is De Niro (Donnerhall/Akzent II). Ivanka has done extremely well in both the dressage arena and the show ring, owing to her beautiful looks and lovely movement and conformation. 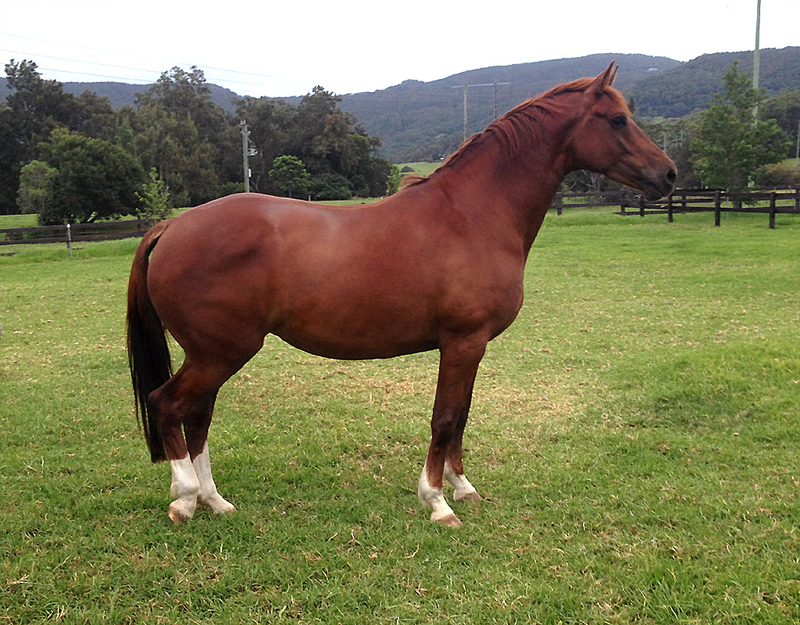 She stands at 168.5cm and is classified as a Head Stud Book mare with the AWHA (Australian Warmblood Horse Association). 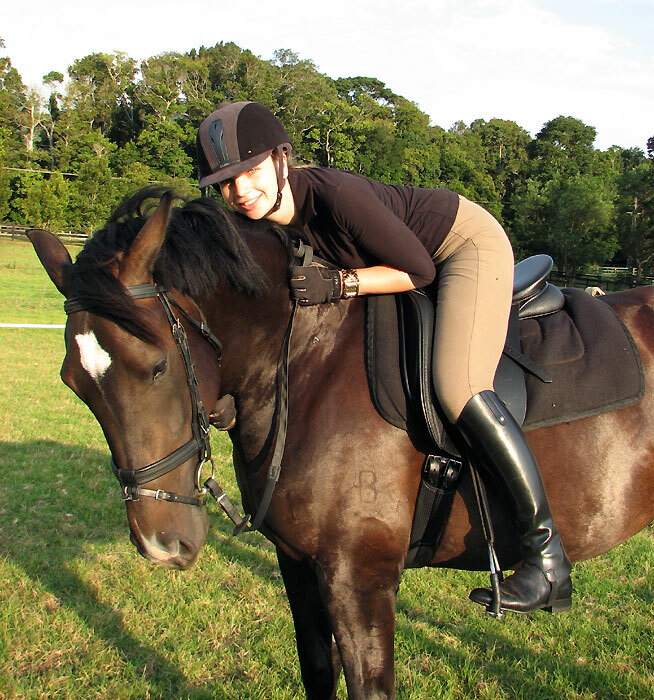 Ivanka has a lovely quiet temperament and is a pleasure to ride. She is trained to novice/elementary level dressage and has been very reliable and consistent in competitions. 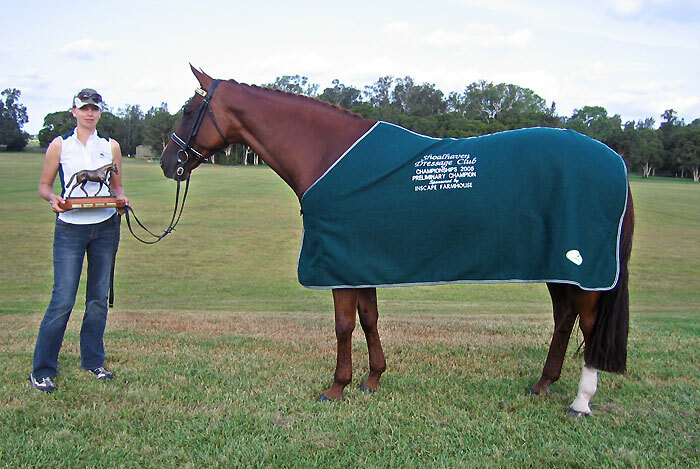 At the 2003 AWHA Gala Day NSW Ivanka won the 4/5yr old ridden Warmblood class, being placed in front of Jaybee Alabaster. She was also awarded Reserve Champion Led Warmblood, coming runner up to her son, Bellingara Ferrero. Winner of 2002 NSW AWHA National Mare Competition. In recent years, Ivanka has been proving herself as a broodmare. Her first foal, Bellingara Ferrero (by Olympic Ferro) is now a successful stallion, placing 2nd in the National ACE assessment tour. Ivanka's second foal, born in 2008 is Bellingara Summer Hit (by Sandro Hit). Summer is a beautiful young filly who is being retained by the stud. We hope to campaign her in dressage and breed on with her sought after bloodlines. 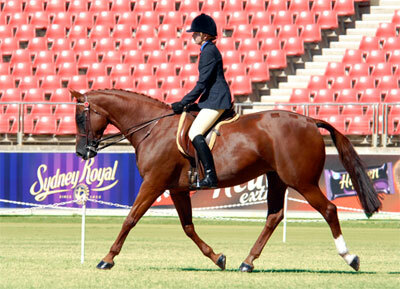 In 2010, Ivanka produced a beautiful chestnut Warmblood colt by Royal Hit (imp). 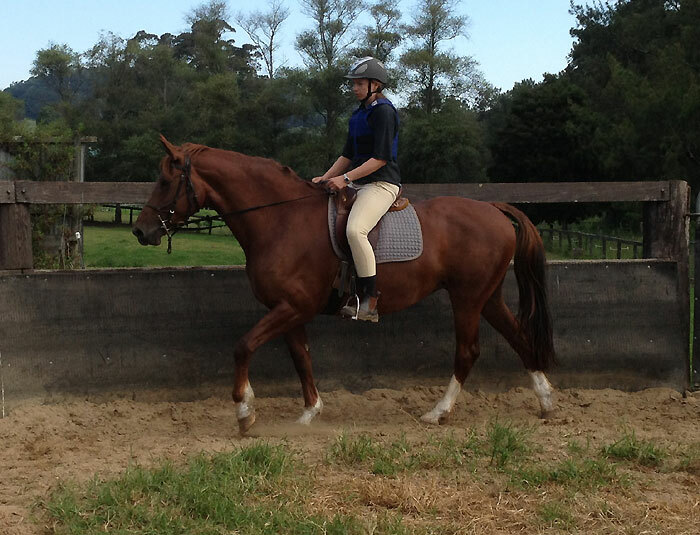 He has been sold to a dressage home in Victoria. Ivanka's proven dressage performance and trait of throwing excellent temperament in her foals, makes her a valuable horse in our broodmare band. 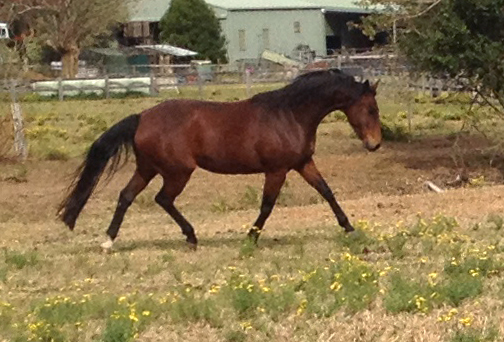 Junee is a beautiful big mare with a fabulous front and uphill conformation. She has top class paces and a beautiful, kind temperament. 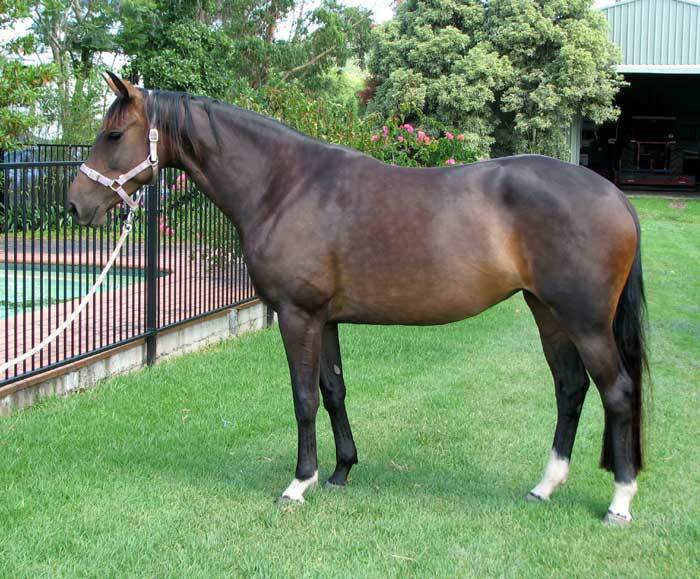 Junee's pedigree has many successful and well known Warmbloods. Her sire, Jive Magic (imp) was a top Grand Prix competition horse with wins including the Grand Prix at the prestigious Sydney CDI. His sire is the very famous Dutch stallion, Jazz, who is one of the world's most successful dressage sires. Junee's dam, Riverina R is a successful dressage horse. Riverina R is out of Lucilla R who is herself a full sister to the stallion Stirling Liberty. Stirling Liberty was ridden by Olympic show-jumper Gavin Chester and at just 7 years of age competed at World Cup level. What’s more, Stirling Liberty went on to sire Snowy River Blackwood who with Di Jenkyns in the saddle was one of Australia’s leading Grand Prix horses for many years. Right down on the bottom of the pedigree is Ludendorf, who was also a Grand Prix dressage horse and an advanced eventer. We are looking forward to seeing what she will produce for us as a broodmare. Summer is an elegant and talented daughter of the famous PSI stallion Sandro Hit. 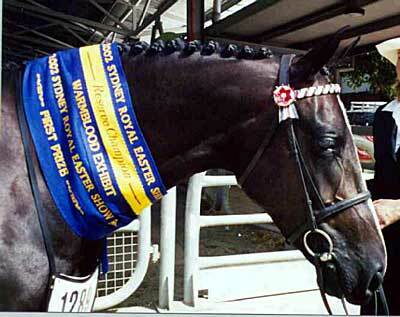 Sandro Hit is the sire of many outstanding Warmbloods, including Mary Hanna's Grand Prix mount, Sancette. Summer shows great intelligence together with a very calm and sensible temperament. Her trot is particulalry eye-catching, with beautiful suspension and rhythm. She is a great asset to our stud and we look forward to seeing her under saddle &/or producing lovely foals for us. This beautiful young Warmblood Mare is by our resident stallion Bellingara Ferrero and from one of our founding mares, Trimba Honour. 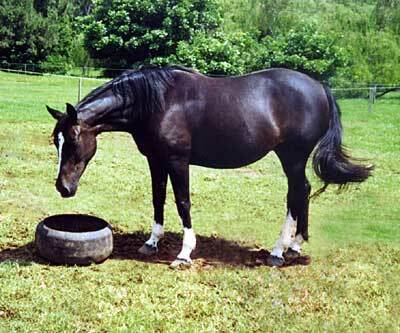 She is closely related to Bellingara Fleurina, and has the same wonderful temperament and attractive looks. We are planning to compete with Fiesta in dressage, and perhaps some hacking as well, given her beautiful show horse looks. 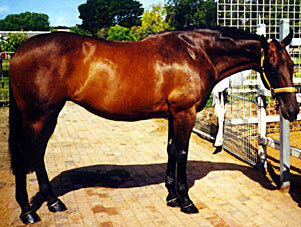 Warmblood Mare Bellingara Fiesta - pictured at 4yrs of age. This is a stunning young state-of-the-art broodmare / riding horse specifically bred by Heath and Rozzie Ryan to produce Olympic competition dressage horses. Ryans have a full sister, Jumping Janie R, already producing top-priced Warmblood foals. Jive’s Delight R has already produced a Regardez Moi filly, retained by Ryans, produced a very talented foal by Fiji R in October 2010. Jive’s Delight is a full sister to Jingle Jangle, in work with Fiona McNaught and schooling the advanced work. 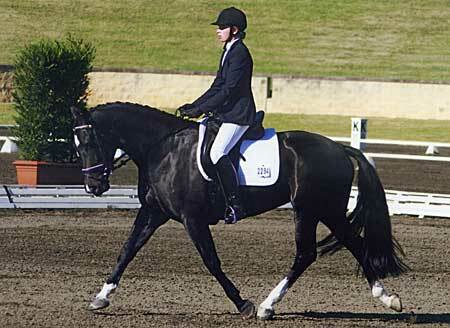 Jive’s Delight’s brother, Jesse James, was bought by Australian international dressage rider Matthew Dowsley. Jive Magic, the sire, is blasting his way through the Grand Prix classes and is putting his hand up for the Australian team at the World Equestrian Games in the USA this year. 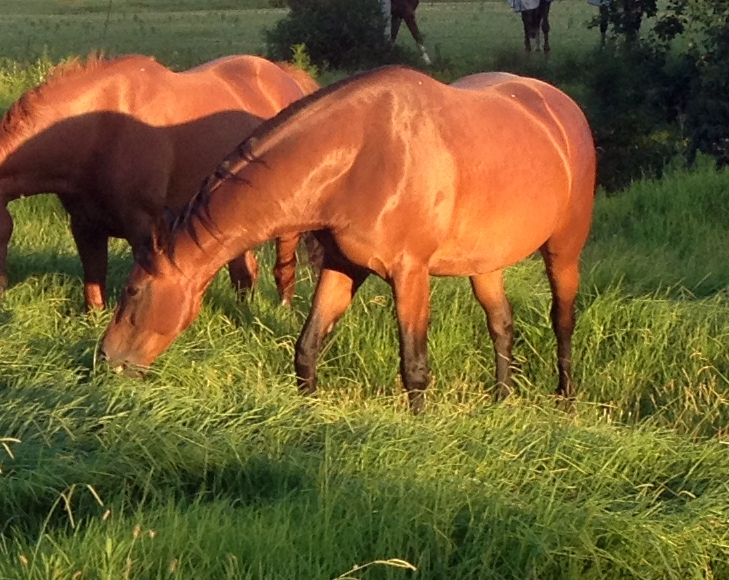 As a horse breeder, the success of this mare's close relatives makes her a very desirable broodmare. 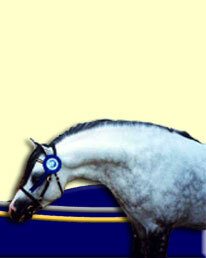 Diamond Delight carries the Donnerhall and Pik Bube bloodlines through Don Ramiro. 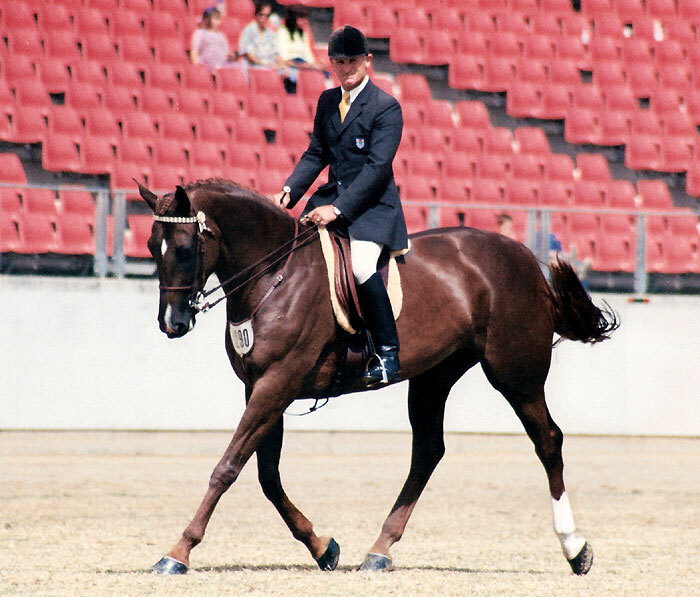 Snowshoes carries the Salute blood which is probably the most influential bloodline in Australia today when it comes to Grand Prix international dressage horses like Victory Salute (Australian Grand Prix Champion), Stirling Stilton and DP Christopher. We are very excited to have Jive's Delight as part of our Warmblood stud. Please press play above to view video of the Warmblood mare, Jive's Delight. Honour is a beautiful black Warmblood mare, originally bred by one of Australia's top Dressage riders, Mary Hanna. Honour has excellent conformation with well boned straight legs, short back, deep girth and an elegant neck. She has beautiful movement with particularly good hock action, highly desirable for breeding dressage horses. Honour also has a wonderful quiet nature, being a pleasure to handle. Honour is the grand-dam of our best performed youngster to date, Bellingara Fleurina (top 5 Young Horse Championships Sydney CDI). Honour's progeny are marked by her beautiful elegant neck, deep compact body and outstanding temperament. Barbarella is pictured here as a 2yr old, after winning Reserve Champion led Warmblood at the 2002 Sydney Royal Easter Show. 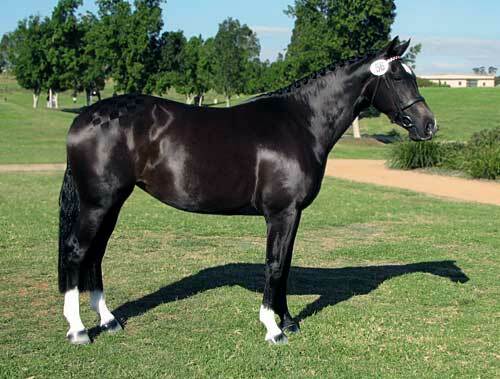 She was awarded this place over the imported Warmblood stallion, Carbine, by Carbid. 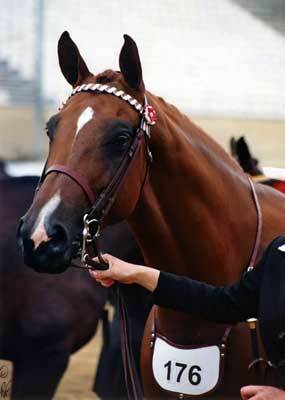 It was a tremendous loss to our stud when Barbarella's life was cut short in an accident in 2005. She had a beautiful nature and quiet temperament and was a super mover, showing engagement and expression in all paces. A truly outstanding mare with so much potential. However, we have some consolation, before Barbarella died, she left us with a beautiful Warmblood filly foal, Bellingara Fleurina, who has grown up to be a very successful dressage mare and the gem of our Warmblood stud. 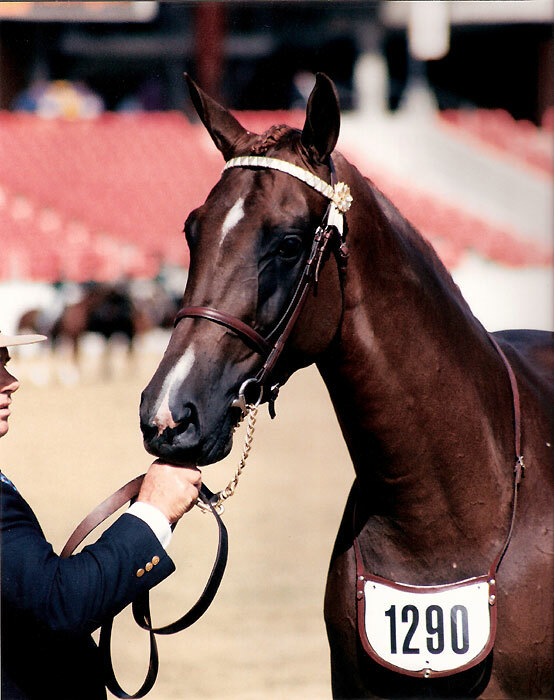 Centennial Dais was a lovely thoroughbred mare, standing at 16.3hh. 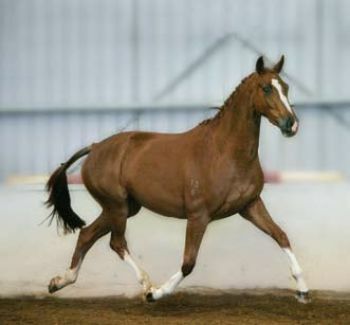 She was registered with the Australian Studbook and as a Foundation Mare with the Australian Warmblood Horse Association. Dais was trained to elementary level dressage and won at official novice level at the highly competitive grounds of Clarendon in Sydney. She consistently achieved high scores during her competition career and competed at the NSW State Dressage Championships. She was an extremely quiet, gentle and easy to handle mare. Now sadly missed.